Field Trials in recorded history began in Britain in 1866. America’s first recorded field trial was held in 1874 near Memphis, Tenn. It was an event that started a trend that grows ever stronger. The winner of that first U.S. Field Trial was a solid black native Setter by the name of Knight, who was owned by H.C. Pritchard. In those early days, field trials were run under the auspices of “The American Field.” Dr. Nicholas Rowe, then owner of the American Field, made a major contribution to the foundation of The American Kennel Club with the donation of three volumes of The National Kennel Club Stud Book. Dr. Rowe had acquired ownership of The Chicago Field in 1876. In 1881, the Chicago Field’s name was changed to the American Field. The original field trials were for pointing dogs or “bird dogs,” as they were called. Dogs competing in the early trials included English Pointers, Droppers and English, Gordon, Irish and Native Setters. Written record shows that the first AKC Field Trial was held in 1924 by the English Setter Club of America on their grounds in Medford, N.J. It is interesting to note that the Club still owns and conducts events on this venue. It was not until 1931 that the next AKC Field Trial occurred. That trial was a joint effort of the Gordon Setter Club of America and the Irish Setter Club of America. It was held at the Owen Winston Estate at Gladstone, N.J.
From the depression years of the 1930s through the war time 1940s AKC trials were minimal with two to 10 events held in any given year of that period. The end of the war saw a major increase in the number and frequency of AKC Field Trials. It also brought increased popularity to the “continental” breeds. German Shorthaired and German Wirehaired pointers, Brittanys, Vizslas, Weimaraners and Wirehaired Pointing Griffons emerged in greater numbers on the AKC Field Trial scene. Breed clubs began forming to put on field events. The American Brittany Club conducted its initial event in Ravenna, Ohio in 1943. The German Shorthaired Pointer Club of America followed suit in 1944 with a field trial in Anoka, Minn. Nine years later (1953), the American Pointer Club held its first field trial at Fairfield, Conn. The Weimaraner Club of America came on the scene in 1955 with its field trial at Fort Lewis, Wash.
By the 1950s Professional bird dog trainers had increased in number and popularity for training hunting dogs and competing in trials. This toughened the competition and raised the bar considerably. The pointing breeds and the events they competed in were evolving in a positive manner. 1953 saw the first AKC National Championship for any breed. It was held by the German Shorthaired Pointer Club of America at Volo, Ill. The first National Champion was Dandy Jim V Feldstrom (m) owned by Clark Lemley, M.D. Four years later, The American Brittany Club conducted its first National Championship at Carbondale, Ill. The winner was FC Towsey (m) owned by Thomas Black. 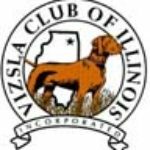 In 1962, The Vizsla Club of America began holding field events with a field trial in New Sharon, Iowa. The first licensed trial of The German Wirehaired Pointer Club of America was held in 1963 at Ingleside, Ill. In 1965 the first Pointing Breed Advisory committee meeting was held. This group was formed to recommend rule and procedure amendments to the AKC Board. The group consisted of a representative from each of the nine pointing breed parent clubs. AKC still depends on an Advisory committee to create new regulations and to amend old ones for pointing breed field trials. The original AKC trials were for foot handlers. In 1966 the AKC regulations were amended to allow horseback handling. This was such a popular decision that participation in AKC Pointing Breed Field Trials soon doubled to 450 trials per year with over 38,000 entries. In 1966 the German Shorthaired Pointer Club of America held its first National Amateur Championship in Denver, Colo. Unfortunately no winner was named. The American Brittany Club held their original National Amateur Championship in November 1966 at Carbondale, Ill. The first Brittany National Amateur Champion was “Bub” (m) owned by M.D. Nelson. The Weimaraner Club of America Nationals began in Ardmore, Okla. in 1976. The first National Field Champion was Unserhund Von Seiger (m) owned by Mr. and Mrs. William McGinty The National Amateur Field Champion was Fran’s Dee Dee Von Heiser (f) owned by R.H. and K.J. Snyder. October 1977 saw the inaugural running of the Vizsla Club of America Nationals at Fort Ord, Calif. NFC, FC, AFC Randy Duke (m) owned by Bart Boglioli won it. The National Amateur Championship was won by Mehagian’s Peppy Paloma (f) owned by Marge Mehagian. The Irish Setter Club of America ran its first National Championship field trial in 1979 at Rend Lake, Ill. The newly crowned Champion was FC Ramblin Red Banshee (m) owned by Randy Kubacz. The 1979 National Amateur Champion was Ivor Glenn Dinah (f) owned by Mike Jones. The German Wirehaired Pointer Nationals was first held in 1982 at Green River Wildlife Area near Ohio, Ill. The National Championship was with held that year. FC/AFC Halb’s Miss Chief was crowned National Amateur champion that year.. She was owned and handled by Doug Ljungren. The Gordon Setter Nationals commenced in 1995. Run under the auspices of the Gordon Setter Club of America it was held at Wye Island, Md. The first National Champion was FC/AFC Shadowfax Blade Runner owned by Jim D’Amico and Cliff Schnepf. The 1995 National Amateur Champion was FC/AFC Pal Joey owned by Marianne Goodwin and Jim D’Amico. The AKC Field and Amateur Field Championship program has seen thousands of dogs gaining titles since its inception. The numbers of Champions titled are listed below by breed. The AKC, in an effort to improve and increase the scope of its pointing breed field trials, began the AKC Gun Dog Championships in 1993. This has become an immensely popular event with both Retrieving and Non- Retrieving stakes. The event is held in the spring of each year and rotates around the country to give everyone from each region an opportunity to compete. Today, hundreds of AKC Pointing Breed Field Trials are held each year. Total entries number in the tens of thousands. The sport has made considerable progress since the early 20th century and will continue its growth in the 21st.